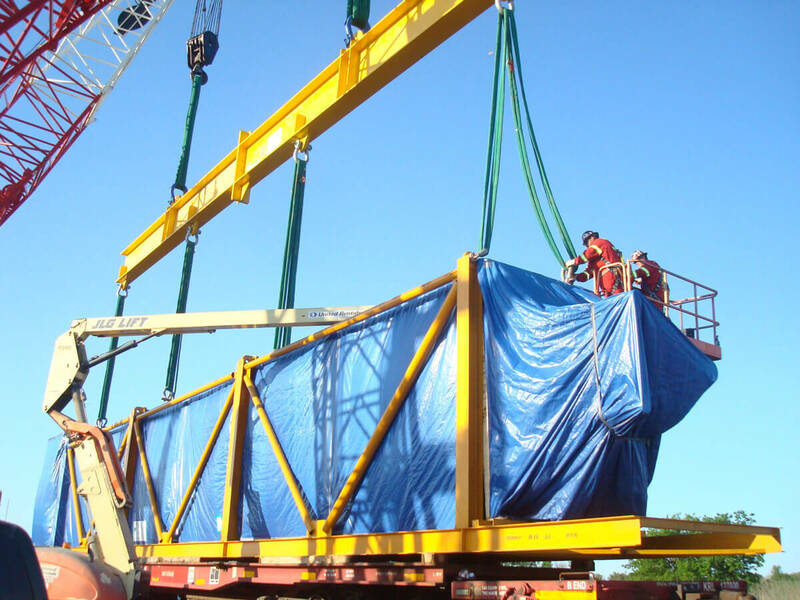 FRACHT USA’s industry leading project department specializes in transport services for complex and industrial sized projects. Our dedicated projects team in Houston closely operates with our global network of offices, consists of highly experienced professionals dedicated to finding a solution to your move, no matter how complex it may be. From ocean, air, heavy haul, barge or rail transport, Fracht USA can deliver your freight safely, on time and cost efficiently around the world. Industrial scale projects, refineries and their construction require complex and detailed transport engineering, management and execution. With a global network of 110 offices in 40 countries, capabilities in all modes of transport & an experienced and dedicated project team, Fracht can deliver complex, logistically challenging projects anywhere in the world. Fracht is ISO certified and strives to maintain a high standard of Health, Safety and Environmental certifications, ensuring the delivery of complex components with the quality and safety our clients expect. Fracht is pleased to have successfully transported windmill blades to northern Iowa. The cargo was transported via vessel from China to the US, where the cargo was then transferred by Fracht and their vendors into 6 hopper-barges. 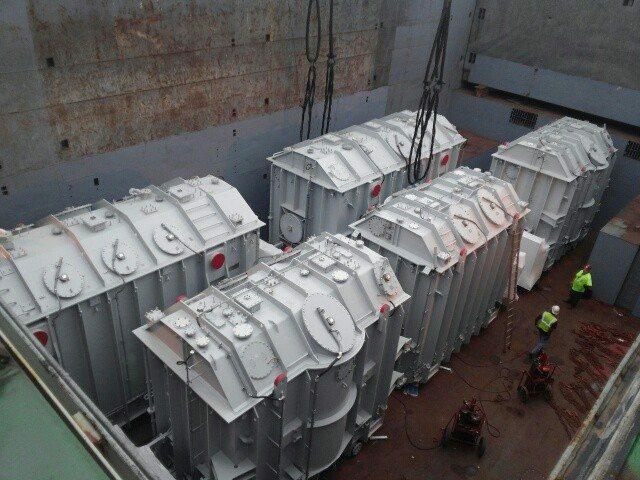 As predicted, the blades fit perfectly into the hopper barges, utilizing close to 100% of the space and confirming Fracht’s ability to provide a seamless plan. In addition, Fracht helped the client select the terminal location in Iowa for the most efficient discharge and distribution of the blades. Fracht’s ability to think outside the box and cost saving suggestions provided many benefits to the client. 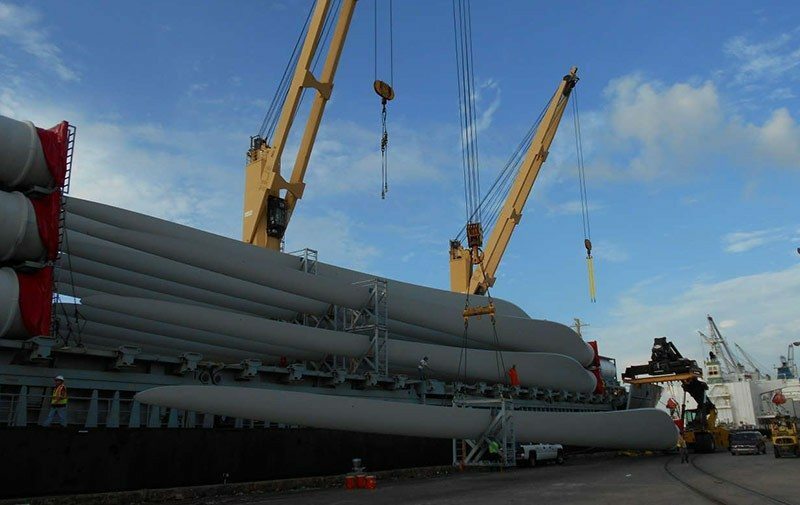 On board of the MV SAL Amoenitas, a 718-foot long absorption tower arrived in the of New Orleans January 10th, 2015. It was one of the biggest included in these projects and one the biggest ever to be handled in the port of New Orleans. The projects took about one year to plan, involving FRACHT FWO Germany and USA along with Fracht offices in Europe, Middle East & China. The Seafreight offshore contracts were awarded to Fracht FWO Frankfurt, Germany and onshore to Fracht FWO Houston, USA including Customs Clearance. In April 2015, Fracht USA was approached to provide a logistical solution to deliver three transformers from our clients factory in Holland to their final destination in Virginia. In August 2015 the 6 trafos were finally loaded at the Port of Rotterdam in the Netherlands in cooperation with Fracht Rotterdam. Three of the transformers (2x 360,000 lbs trafos + 1x 350,000 lbs trafo) were routed via the Port of Newark, NJ and delivered via rail/truck combination to their various destinations in New Jersey. Simultaneously, the other transformers (3X 412000 lbs each) were routed via Port Savannah, GA and delivered by rail to their nal rail siding in Virginia, VA. 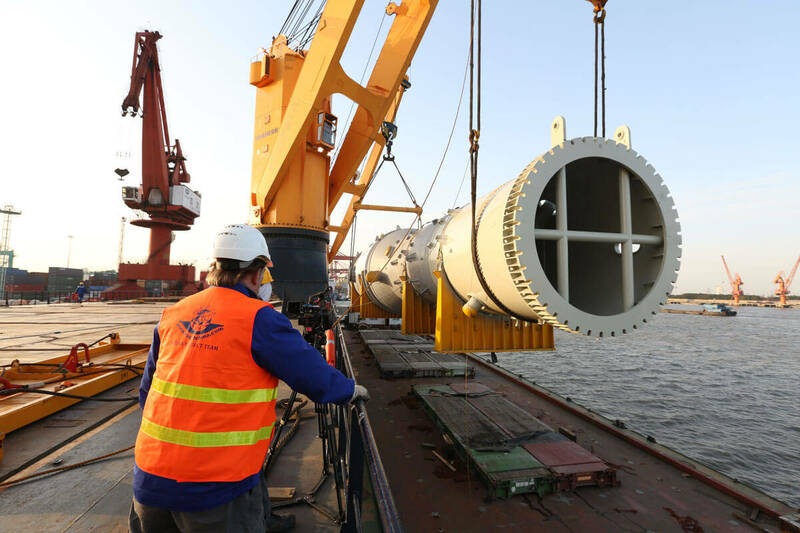 In early 2014, Fracht was given the opportunity by one of the world’s leading engineering and construction companies to provide a logistics plan to transport 60 HRSG boxes from Korea to Houston for two separate plants. The modules were loaded in Ulsan Port of Korea and transported via 5 different charter vessels to Houston where they were carefully off loaded onto railcars, some Fracht owned and delivered to Sherman, Texas and Temple, Texas. Together with our vendors and clients, we evaluate risks and formulate project procedures that minimize the potential for injury and environmental hazards. We share your sense of urgency. No matter what size, or how complex is your project we meet deadlines every time. Supported by our express capabilities, we deliver your cargo quickly and reliably. Fracht is committed to set a benchmark in client experience. Our dedicated customer support along with proactive monitoring system will ensure that your shipments are delivered on time. Through continuous expansion, acquisitions, and partnerships, Fracht has established its presence in key strategic locations all over the world. At Fracht, we understand that it is not our sophisticated computers and systems that ensure successful management of your projects. FrachtUSA© 2019 All Rights Reserved.